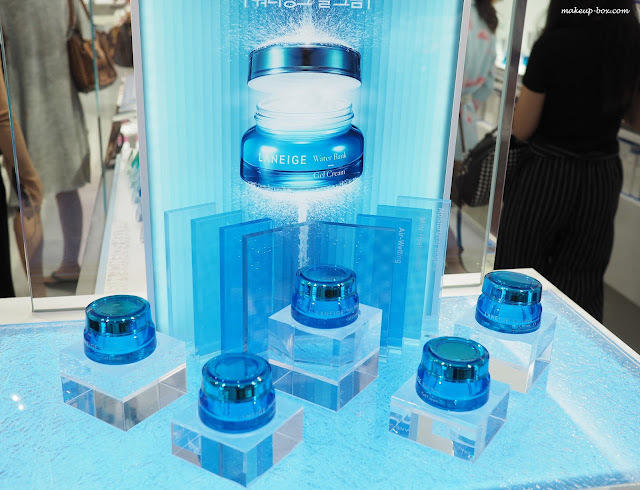 If you've been keeping up on dayre, you'll know I was away in Seoul, Korea, last week at LANEIGE's annual Beauty Camp, where they fly in a group of bloggers, press, and lucky customers for three days of Korean beauty, fashion, inspiration, and as it turns out - a number of celebrities! 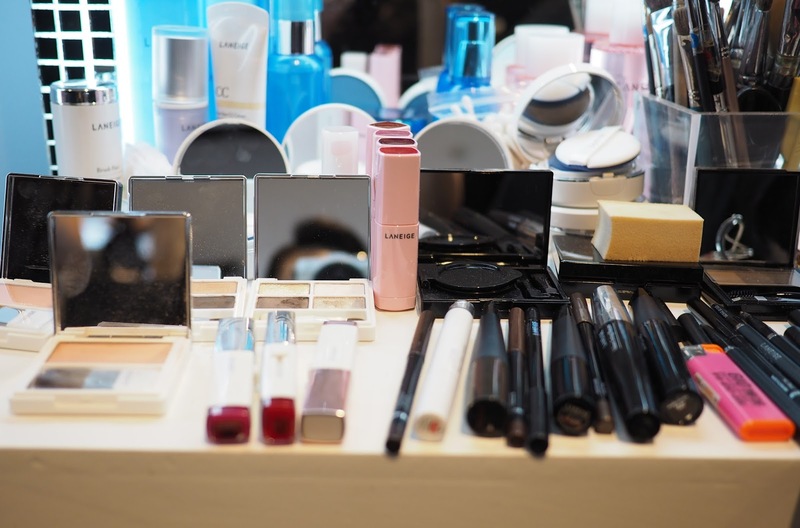 Themed "Sparkling Beauty", this year's beauty camp included a motivational talk by speaker and author Sooyoung Kim, a styling session featuring celebrity stylist Hye-Yeon Han, and makeup session by LANEIGE makeup artists. 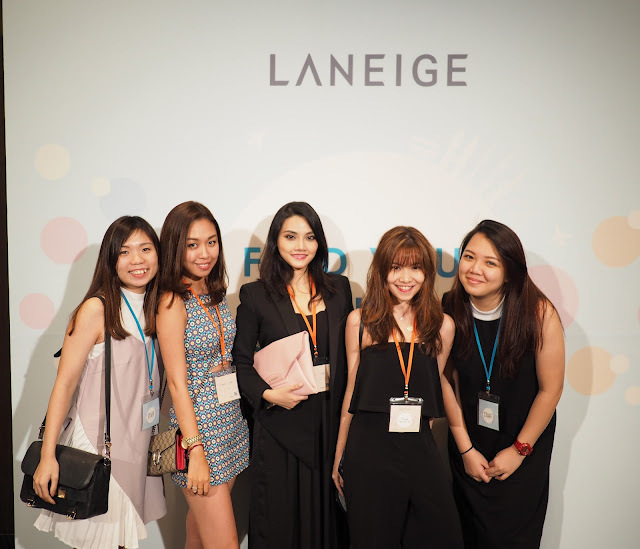 Like LANEIGE's mission in 2016 - the camp was focused around helping everyone to rediscover their inner sparkle and finding different ways to bring out our inner and outer beauty, and maximize our unique charm and confidence. One of the sessions I enjoyed the most was probably the detailed professional color-matching session where an expert helped us identify very specific color groups and shades that complimented our individual skintone best. There are 4 seasons, and within each category, there are 3 sub-groups: cool, clear, and deep. I was identified as being in the "Winter-Clear" group. Because of my high-contrast coloring (light skin, very dark hair) I can wear both icy and deep Winter shades, but the colors that really make me stand out and "sparkle" belong in the intensely vivid Winter shades like Cherry, Violet, Indigo, Plum and Deep Rose. Throughout the entire trip, I did get the chance to really "immerse" myself hip-deep in LANEIGE products, from skincare to makeup, and discovered quite a few new favorites along the way, some new like the Time Freeze Firming Sleeping Mask to help tighten and firm the face - especially around the jaw and cheek areas overnight, and some I already owned but only really got into on the trip itself, like the entire Water Bank line and the All Day Anti-Pollution Defensor SPF30, which repels micro particles of pollution which can harm the skin. I also really got into the BB Cushion Anti-Aging, which feels somewhat like a cross between the texture of the hydrating whitening cushion and the more satiny pore control one. 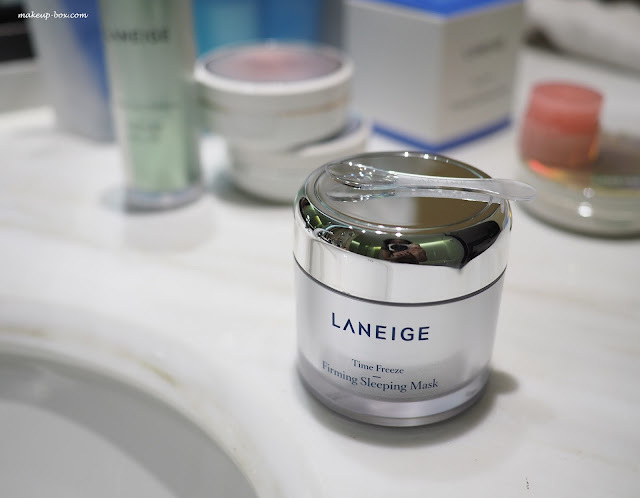 It contains the same active ingredients as the Time Freeze skincare line, which help to repair and protect skin. 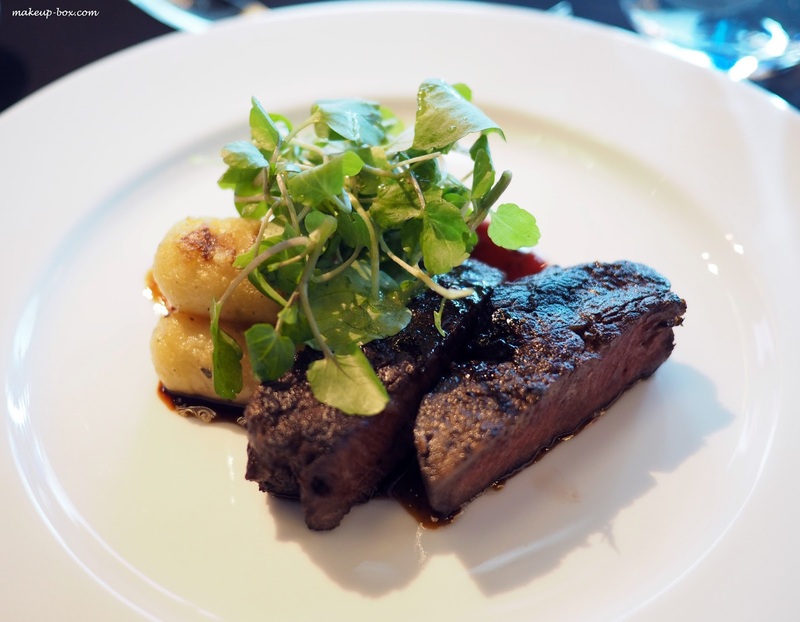 But without further ado, I'll get into a listing of the various tips and tricks I learnt from the Sparkling Beauty Camp! Korean girls love their dewy, radiant "guang" so hydration is a huge thing in Korean skincare and girls layer their softening waters, emulsions, serums, creams, and then top everything with sleeping packs at night. This ensures maximum absorption and water retention if you have dry skin or are in a dry environment, but don't want to use a heavy occlusive cream. I usually blend water-based skincare and face oil and reapply several times when I'm on flights because my skin gets so parched. But on this trip I layered the products in my Water Bank travel kit, slapped Water Bank Sleeping Mask over it, then woke up the next morning to smooth plumped skin without any greasy residue, or those usual fine dry expression lines on my forehead. 2. Use your oil-free serum as primer. 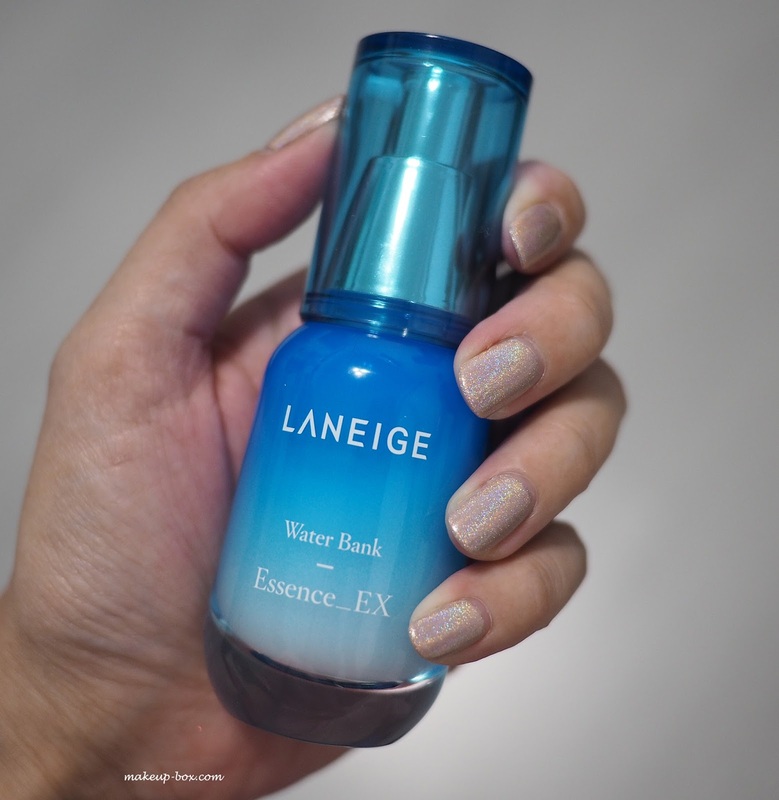 My makeup artist used LANEIGE Water Bank Essence_EX on my skin as a primer before applying makeup on my face. And it makes perfect sense if your skin is on the dry side or you just want a non-greasy K-beauty glow because it holds water and creates a smooth canvas while feeling lightweight. 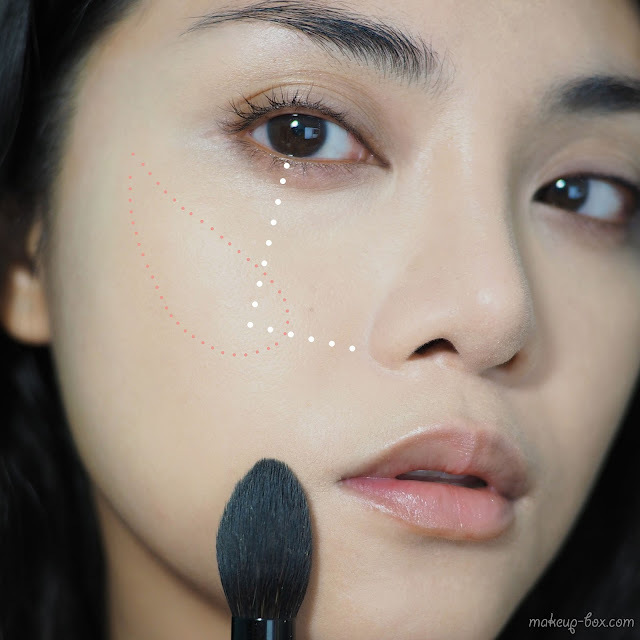 Is roughly where a line down from the outer corner of your eye intersects with one extending out from the base of your nose, If you set your brush down around there and then gently blend up and out along your cheekbones, it should always look alright. Girls will pat pat pat over their powder blushes with their used BB cushion puffs. The remaining bits of BB cream take away the matte powdery effect and make the blush look like it's emanating naturally from under your skin. 5. Red is an "it" colors for the eyes. It sounds scary but can be extremely flattering if you go for the wine-toned or oxblood shades like the ones popular in Korea right now. Just use it lightly in the outer corners of the eyes instead of all over, and I promise you will not look crazy. Red around the eyes has been used since antiquity in East Asian cultures because it's considered very seductive and alluring. My palette crush of the moment is LANEIGE's Rosebay Garden eye palette and it's probably the most consecutive times I've ever worn a non-neutral palette because I keep getting compliments! 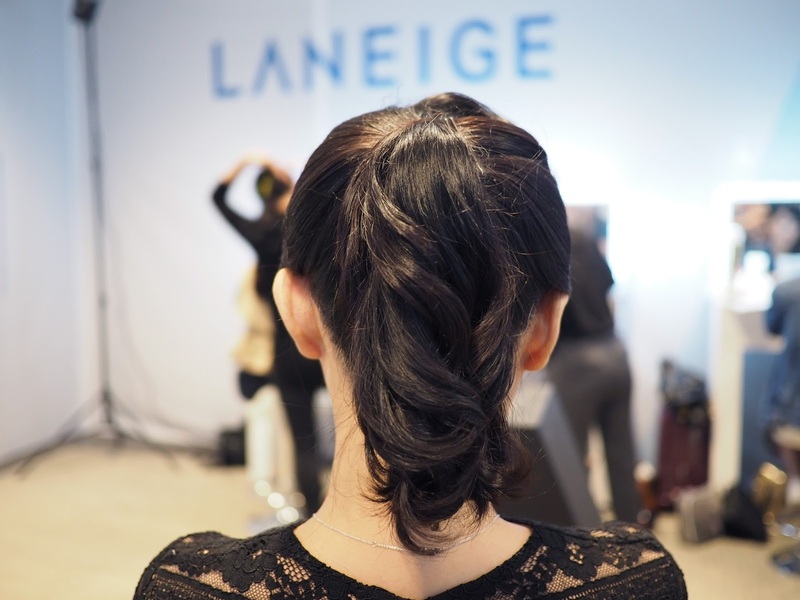 To see how to recreate this look, click here. 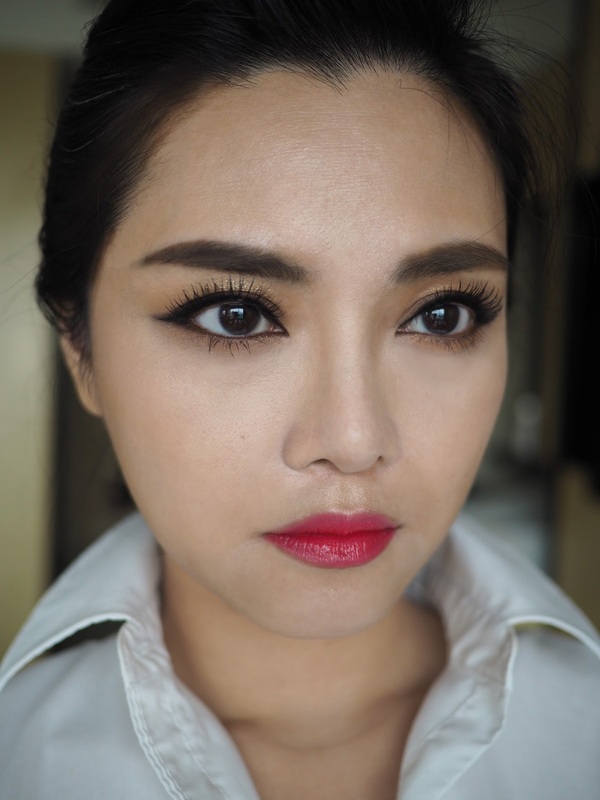 Simply fill in the arch underneath your brow horizontally with pencil or powder so it looks almost straight. And don't extend it out into a super-sharp end the way it's done in the West. Even when you are doing a dramatic winged look, make sure your eyeliner shape extends straight out and doesn't go diagonally upward. You are expanding your eyes outwards to give the illusion of bigger eyes, not giving yourself a cat-like raised flick. Snip your lash band into 3 or 4 different sections first, before applying them from outside corners in. 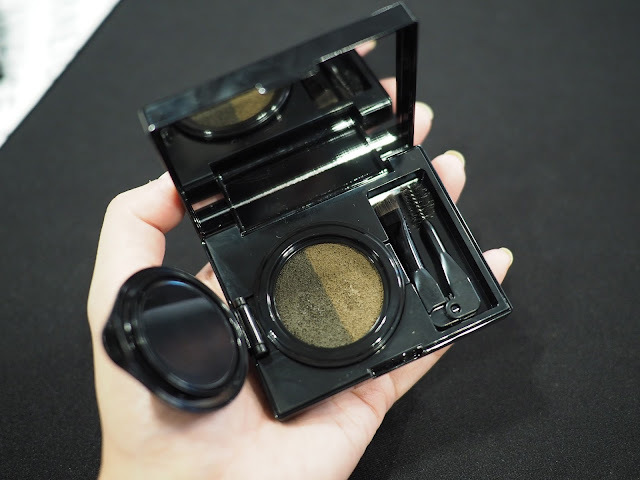 This ensures a perfect fit no matter your eye shape and you get maximum control and precision. All of us had our lashes applied this way by the LANEIGE makeup artists, and NOBODY's lash was coming off or popping up at the inner corners even after hours and hours. This trick is so simple I don't know why I never thought of it; it has literally changed my entire makeup game. Makeup artists applied mascara to natural lashes, then used a lighter to heat a wooden BBQ skewer. 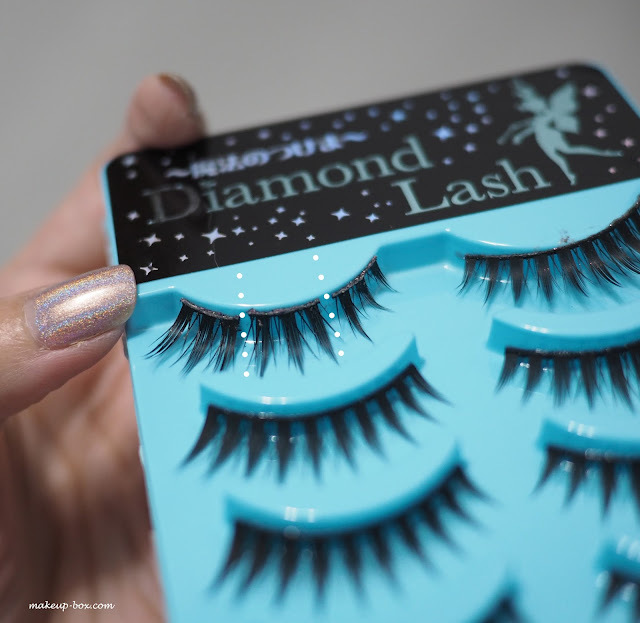 They then used the heated length of the stick to push natural lashes up into the falsies. The heat melts the mascara and "glues" it to the base of the falsies, so you don't have natural hairs drooping and showing underneath the false ones. They wear mattes, glosses, tints, and creams. Sometimes it's done ombre style, with a deeper color on the insides, sometimes it's all one uniform color. The only rule of thumb is that there should never be a hard defined edge around the lip line. So the whole Western trend of using a deeper liner to really carve out the outer edges of the mouth? Absolute no-no. 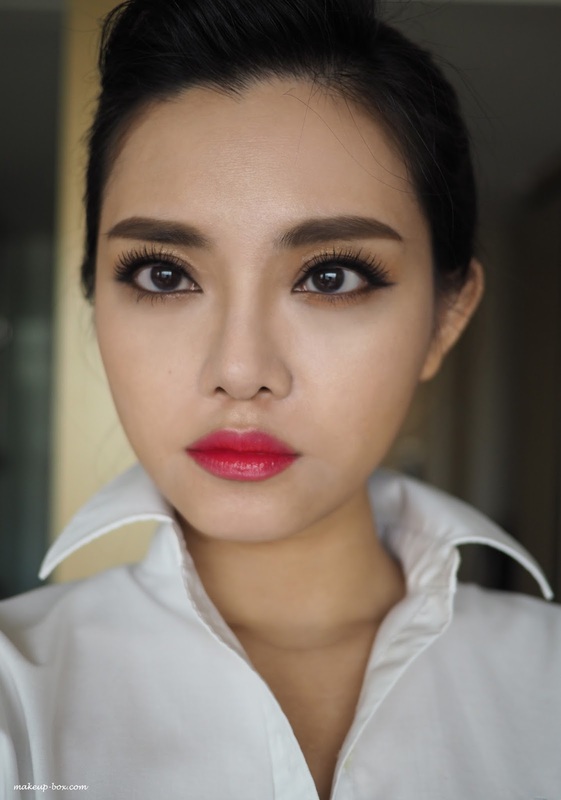 For a velvety matte stain, apply a bit of bright or dark color to the center of the lips and use a finger to lightly tap and spread it outwards for a stained, translucent effect and "blurred edges"
For an ombre "bloom", apply a layer of product, blot on tissue, then apply more just to the center of the lips, then press your lips together lightly to blend. Just use a LANEIGE two-tone lip bar LOL. 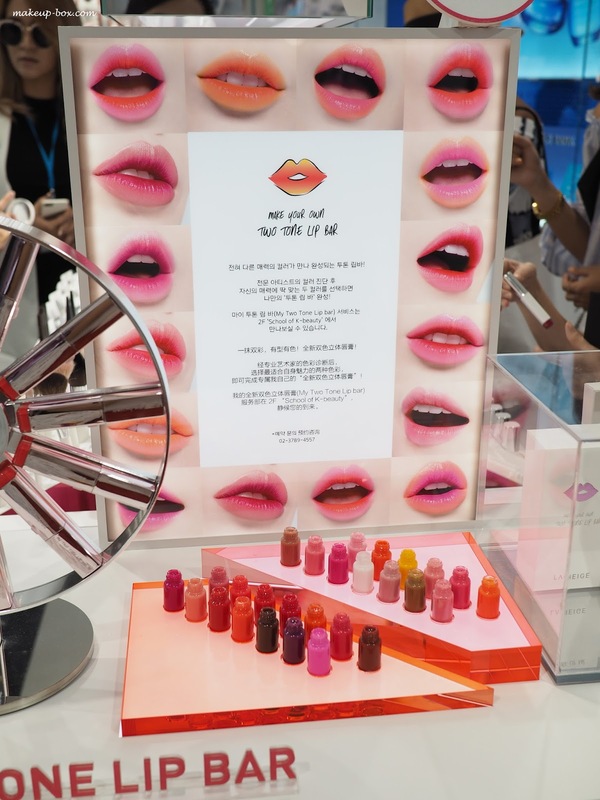 Speaking of two-tone lip bars, the store at Myeong-dong has a special Two Tone Lip Bar customization service. 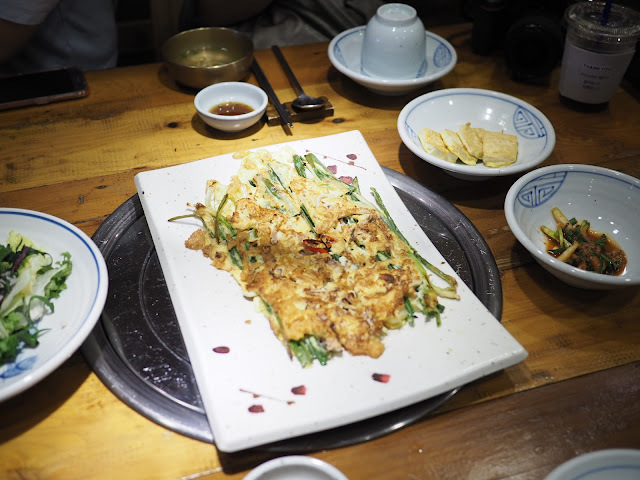 You can pay a visit if you're in Seoul, and pick out a combination that nobody else has. 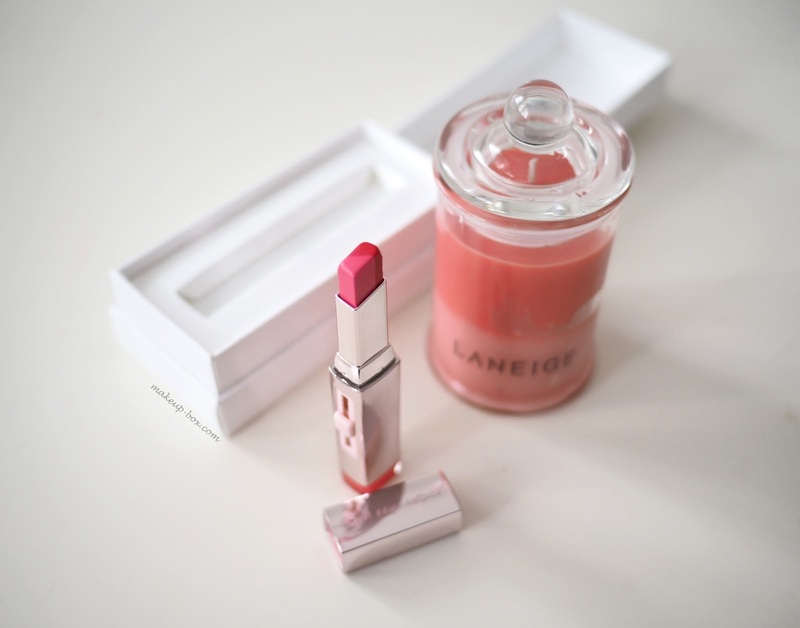 The lip bars come in a special metallic rose tube and sit in a white lined case. 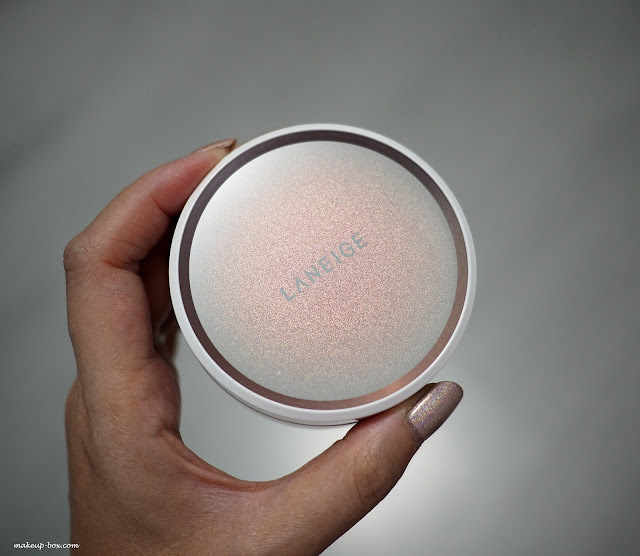 We were lucky enough to get one made based on our color matching session (the LANEIGE team kept this a secret and it was such a lovely surprise to return to our room at JW Marriott and discover it on our desks). Mine is a GORGEOUS cherry pink duo. If you're interested in recreating this yourself at the store, the shades listed for my tube are I-04, O-09. 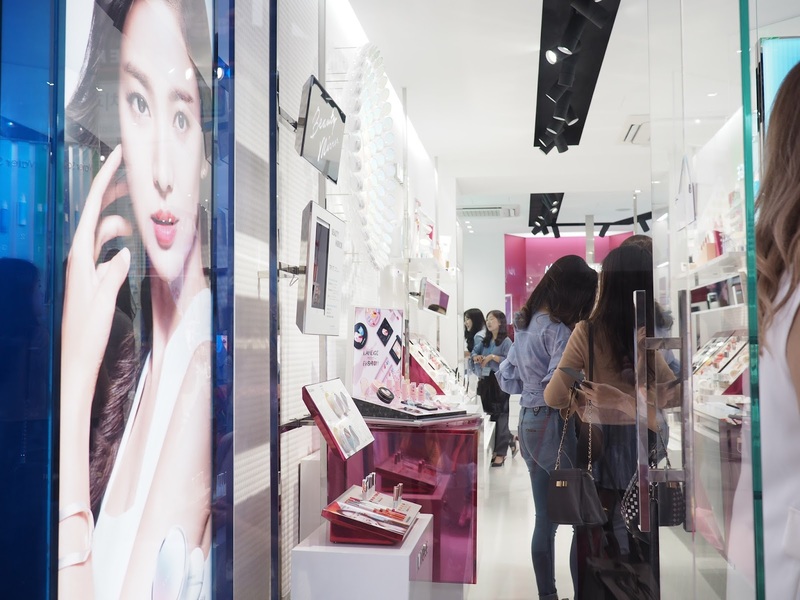 Do note they require a business day or two to make the lipsticks, so make sure you check on the timings at the store if you're traveling in Korea. My custom two-tone lip bar, alongside a two tone candle I got to make myself in Seoul! I have to say it was an amazing three days in Seoul, and I thoroughly enjoyed myself. 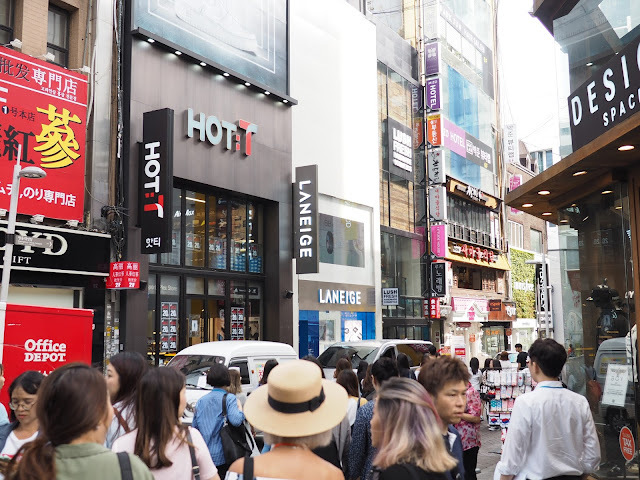 A trip centered around beauty and makeup is pretty much a dream for me, and the fact that I managed to not only learn so many new tips, but also got to check out the amazing beauty stores in South Korea's capital and what makeup the trendy girls are wearing on the streets was pretty mind-blowing. Needless to say, I'm pretty darned inspired by it all, and have incorporated a lot of it into my own makeup looks and routines. Below are just a few more images from my trip, but you can always see more footage (and celebs) on Dayre below, or on the @LaneigeSG Instagram account! This is how a beauty fanatic shops in Seoul. And this was just day one. 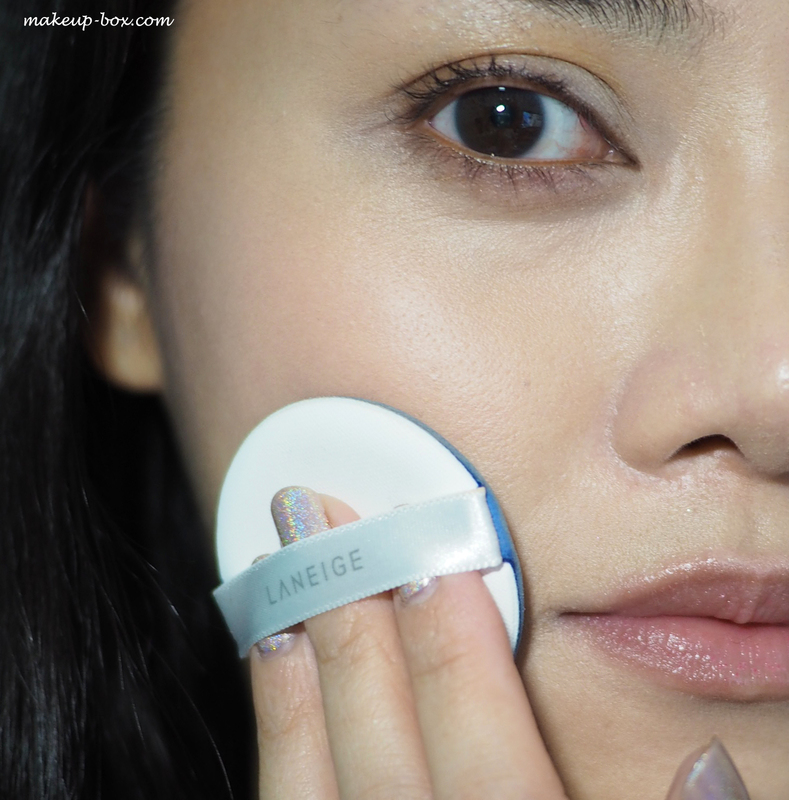 LANEIGE brow cushion duo - coming to stores soon! Finally, I want to say a huge thank you to the LANEIGE team for organizing the beauty camp and for giving me the opportunity to join them. Also many thanks to JW Marriott in Seoul for the incredible service and hospitality, and the girls in the Singapore group for making the whole trip so incredibly fun for me! I have to ask: What is the holographic nail polish you're wearing?? It's lovely!